MMwF . 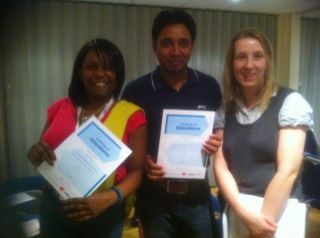 news-Letter: Shiraj got certified! On the 25th of November, one of our most serious, dedicated, and hard-working volunteers , Shirajul Islam, completed a Go On U.K. Online course and became a certified Basic IT instructor. Here in the picture above you can see Shiraj showing off his brand new qualification.